PlayStation VR is now out for the PS4, but after spending hundreds of dollars on the headset, which games should you play? We played lots of them and have some thoughts and some favourites. Kirk Hamilton: Cool enough premise — tank wars! — but too much jank for my tastes. I felt imprecise and sloppy when I played, and it suffers more than most games from how PSVR games tend to shudder and move around even when you're sitting still. Kirk: I'm actually the same. The game itself doesn't grab me, VR issues notwithstanding. I felt like the difficulty curve was off? Like, I wanted some time to just cruise around in a tank blowing stuff up. Stephen: Yeah, like so many VR games, it's got a good foundation but needs more stuff! Kirk: It has blurry graphics, but I'll admit it made me jump. I've only played through the intro. VR horror is a tough sell for me, man. Stephen: This game, more than any other PSVR game I played, really suffered from the relatively low resolution of current VR graphics. 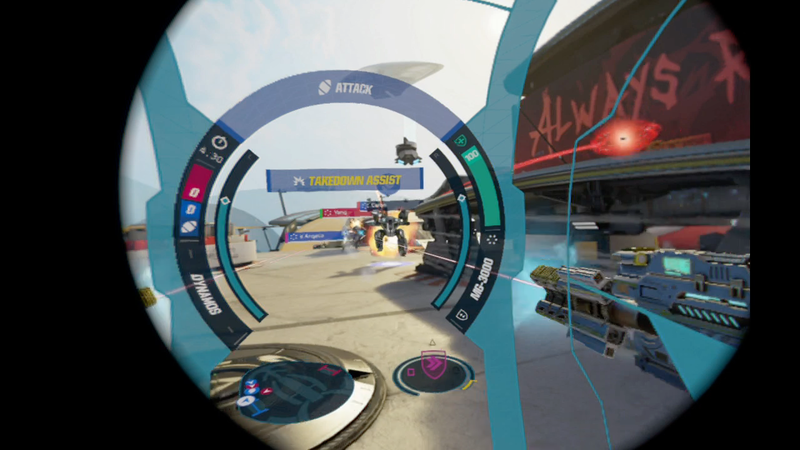 I'd peek out at my TV at the supposedly lower-res "spectator mode" that PSVR outputs to your TV. And even that looked way better than what was in my headset. 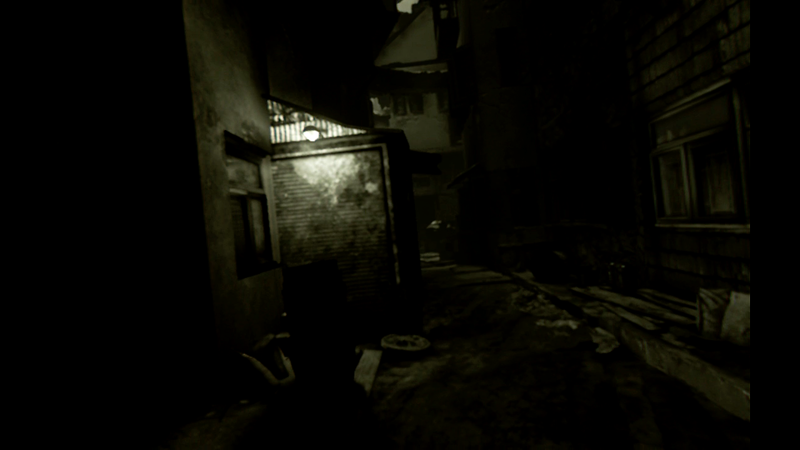 The graininess of the graphics took me out of the experience. Kirk: I still found it oppressive and stressful, which seems like what they're going for. 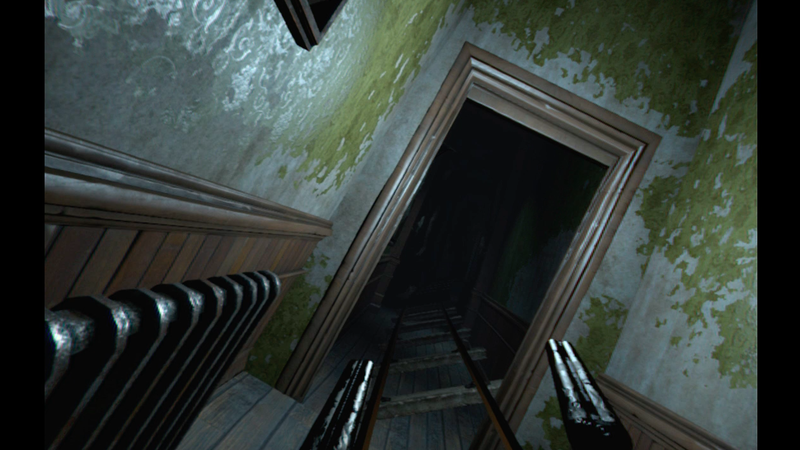 Horror games are already claustrophobic, and translating that into VR amps everything up a few notches. Not my cup of tea, but possibly will be to others' tastes. Also strikes me as a game that wouldn't be notable if it weren't in VR. Stephen: Yeah, though there are slim pickings for horror games on PSVR. Unless you count Until Dawn's rail-shooter, this is it. At least, if we're talking about games that are intended to be horrifying, if you know what I mean. 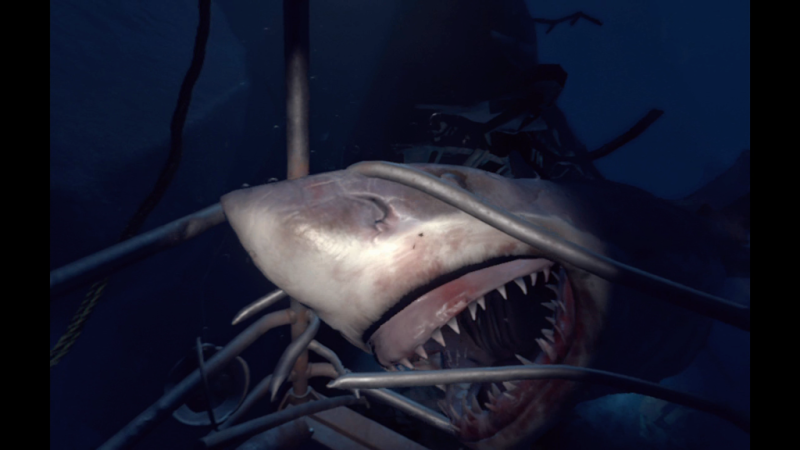 Kirk: There's also the shark [in PlayStation VR Worlds]! All these games should probably just have a shark. But OK, let's do Until Dawn next. Stephen: I didn't like this game. I wanted to! It's a horror roller coaster rail shooter, but I just didn't get much out of doing it in VR. Sometimes enemies might sneak up in your blind spot, but I didn't feel like I was getting an experience that needed the tech, so it felt gimmicky, like many a Wii game. Kirk: It just doesn't respond well enough, in my opinion. The guns don't feel good, aiming doesn't feel good. Hitting a target doesn't feel "right". I like a good VR shooting gallery, but the shooting and the gallery both aren't strong enough here. I do like how it feels like riding through the Haunted Mansion, though. When a huge doorway would loom above my head, I really felt like I was there. Kirk: An interesting collection of polished, brief experiences that give a taste of what PSVR could do if Sony invested a lot more time and money in developing games for it. But it's still just that — a taste. Stephen: I love the shark dive. It's barely interactive and it's a shade too long to use it as a VR showcase for anyone who comes over to my house, but it is so well done. So scary! The VR Worlds Luge game looks really rough in the headset, but I did dig the little sci-fi game Scavenger's Odyssey. You hop this mech suit out of crashing spaceship and jump across some asteroids. I was worried it would me sick, but I actually had a fun time with it. It's a hidden gem! Kirk: Scavenger's Odyssey was definitely the one that surprised me most, since I wasn't expecting any of the demos to be so reactive and playable. It works well, the shooting and jumping feels good, and it didn't make me sick. Score! I also loved the shark dive. They kept assuring me that the guy working the winch on my shark cage was "the best in the business", but I'm not so sure. The shark encounter is the thing I'll use to demo this thing for VR newbies, though I do wish it got to the shark a little sooner. The street luge was pretty whack, I thought. It made me dizzy and wasn't very fun to play. I kept hitting cars, which made my entire body recoil. In general, I'd call VR Worlds a good demo of VR that should really just be packed in with every headset. Kirk: Yeah, this one's one of my favourites. Very simple, both in its mechanics and its use of VR. But effective! 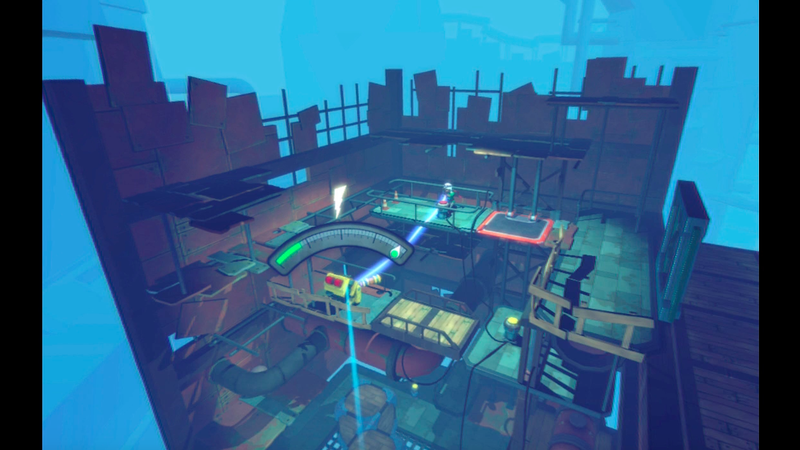 Stephen: I initially felt like it was a really cool puzzle game that didn't need to be in VR. But it really does benefit from it. Yeah, the gameplay is simple. You are rotating a clump of cubes so that they fit through a hole in the wall they are hurtling toward, then getting more cubes added to the clump and rotating to get through the next hole. That design has worked outside of VR in a number of games. But VR doesn't just let you peek around the clump to see the shape of the hole in the next wall. It also helps you understand the contours of this clump that is hovering in front of you and lets the simulated light in the virtual world play tricks on your sense of what the clump's actual shape is. I like those perspective tricks. Plus, you feel like you're standing in a computer world. Really slick, really cool, probably my favourite PSVR game. Kirk: The visual design and audio design are strong, too. It doesn't crowd you, which is crucial in a VR game, especially one for a new system. Even when the screen is full of colour and motion, there's this sense of space. My girlfriend is not a big gamer, but I had her play this one and her immediate response was, "Well, I could play that all day." As ringing an endorsement as I could imagine. Kirk: It's fine. 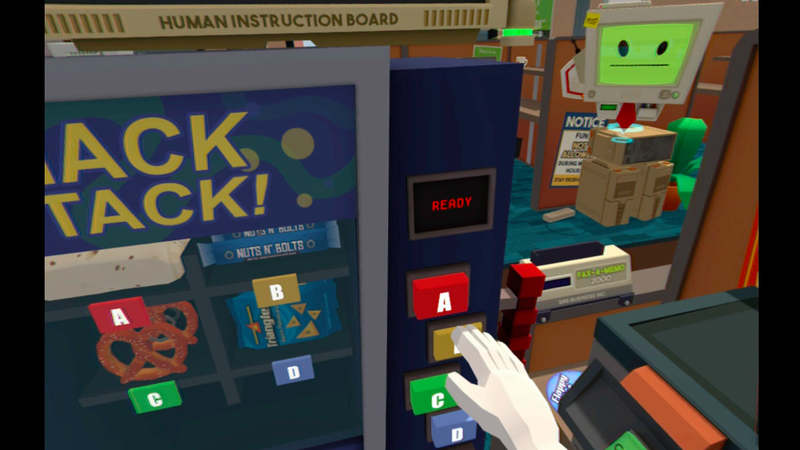 In my review of the PSVR, I talked about how demonstrably inferior this version of Job Simulator is to the one that's out on Vive. The PlayStation camera doesn't really let you enjoy exploring your work space to the extent that the Vive version does, which removes a lot of the playfulness that makes this game special. All the same, I imagine a lot of PSVR players won't have played the Vive version and won't know what they're missing. It's still funny, it's still goofy and it still often feels like you're playing around in a physical space. Stephen: Yeah, the title of this game may turn people off. Who wants to play a job simulator, right? But it's fun slapstick, is sharply written and does a nice job making you feel like you're in a cartoon world. The VR games that go for realistic graphics are undermined by horsepower limitations, but cartoon stuff like this looks great. Kirk: Plus you can put your coffee mug in the copy machine and it will print a second coffee mug! What's not to love? Stephen: Considering I don't like (most) comedy or (any) coffee, it is a miracle that I really like this game. It's a winner! Kirk: I was! Mostly because the core idea is clever. You're a prisoner forced to go out to the prison exercise yard and perform ever more elaborate soccer heading drills. You stand in front of the goal and head the ball into the corners, at targets, around the keeper and so on. No hands. Fun premise. Pretty fun game, too, as far as it goes. They definitely lay it on too thick with the humour, though. I'm sick of the "overly chatty overseer" type of video game humour — it's been almost 10 years since Portal came out, and the schtick is getting old. Kirk: Ha, I had the same thought. I bet some of these VR headset makers have tried adding rumble, and I wonder what their results have been. I got used to the lack of physical feedback, though the game's physics do feel a little weird at times. I'd almost rather play with other people, rather than chasing the leaderboards. Seems like it'd be a fun one to play at a party, with people trading off the headset to see who can score highest. 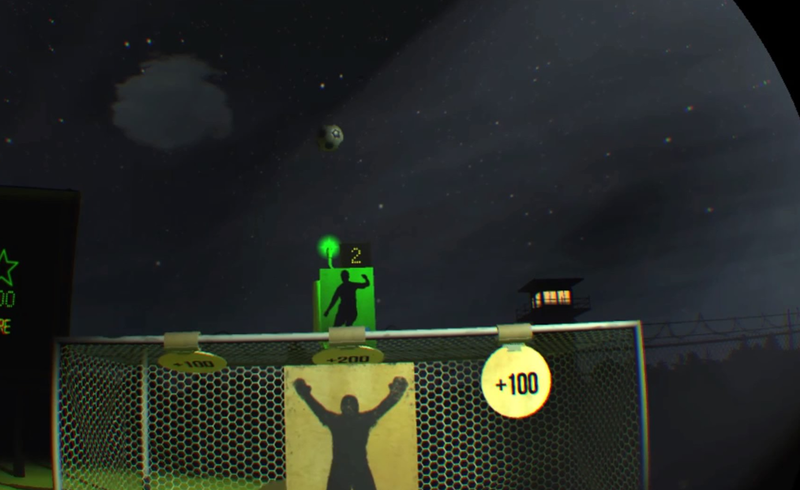 It's easy to pick up in the same way Wii Sports was — most everyone knows how a soccer header works, after all. Kirk: Speaking of that: I've only played the tutorial for this game. It was long, though! But… yeah. I'm probably not the guy to share too many opinions, other than the fact that the tutorial didn't do much for me and the basic gameplay makes me feel a little loopy. Stephen: I played it at Game Developers Conference in March and liked it, but because it's a multiplayer game, I wasn't able to do much with it pre-release. The tutorial is interminable. I've got to see how this plays when the game is out in the wild, but at GDC I'd enjoyed the three-on-three mech basketball/combat/whatever virtual sports action. Jury's out on this. Kirk: Thumper is probably my favourite of all of these games, in or out of VR. I wrote about it earlier this week. The developers call it a "rhythm violence" game, which is about right. You zoom forward through this spiralling neon hellscape, assaulted by noise-rock drum riffs, which you must perform to near perfection or else risk destruction. Stephen: I didn't like this one at first. I'm not a big rhythm game fan. And I didn't feel like VR was adding much to this experience. VR isn't even required, as you know. That was my initial impression several days ago. Then you started raving about the game and I tried it again this week. OK, I get it now. It's minimalist and harsh, but also beautiful. Even better, VR helps the game. 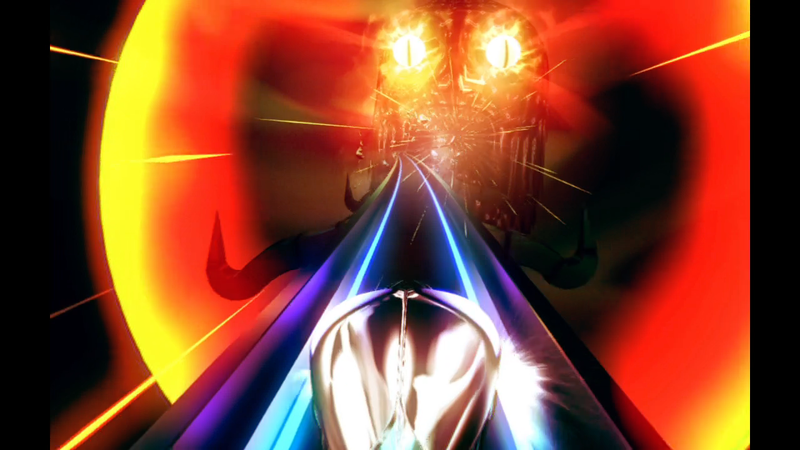 Rhythm games require you to get hypnotised to feel really one with the game and I found that playing more Thumper in VR, immersing myself in its sights and sounds, helped the experience and helped me do better at it. I'm into it! 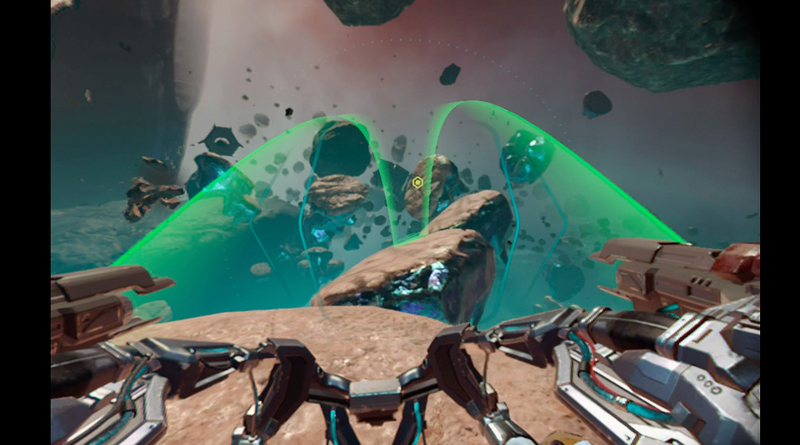 Kirk: The main thing VR added for me was that sense of scale we've discussed with other games. The big skull-like boss that comes at the end of each level looks truly menacing, looming up above you. I also found it was a touch easier to track what was coming next in VR, which I didn't expect. It felt like my perspective was slightly higher and more controlled. I'm glad you gave it another shot! This game kicks arse. Stephen: I'm glad this game exists, which probably sounds like a backhanded compliment. 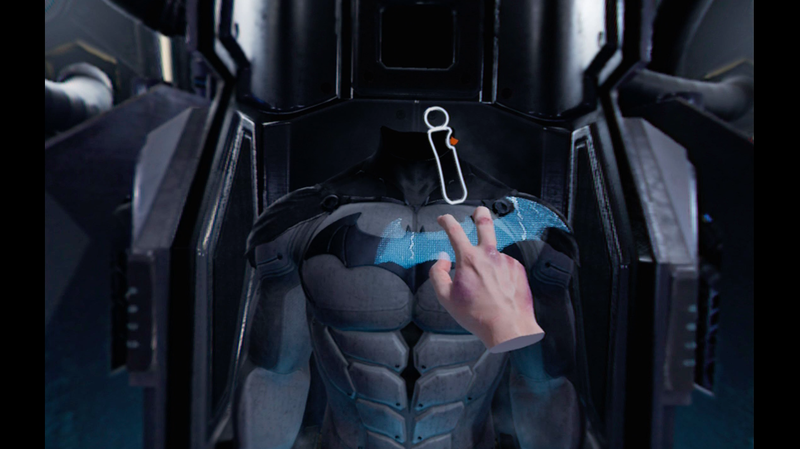 Rocksteady basically is using VR to see if they can make you feel like you're Batman. You hold the Move controllers and see them as his hands. You put on the batsuit in first-person. But the game also shows how few bat-actions they can render in PSVR. You're almost always standing still, even when investigating the possible murder of someone close to you, even when interrogating the Penguin. I think they were afraid to make the game too active in case that made it too nauseating. But there's some good surprises packed into this, lots of Easter eggs for Arkham series fans. Kirk: I don't really dig this game, as I talked about in my PSVR review. I like the idea of putting players into the boots of a well-known comic book hero, but think Arkham VR moves too quickly through different VR ideas. Here you're scanning bodies; here you're solving a puzzle. Here you're examining a crime scene; here you're doing target practise. It feels like a tour, not a main event. The crime scene investigation sequence is great, though! I'd play the heck out of a full game focused on that. Stephen: The Riddler challenges that you can try after finishing the story are neat. And I'm a sucker for good audio logs, and there are some fun ones tucked into the game. I also really like the few moments in the game where you can assemble things with your "hands". Talk about potential for a full game... I'd love to play a virtual jigsaw/LEGO puzzle game where I'm assembling more stuff like the Riddler's cane or little fan-filled cube contraptions. Kirk: "I'm a sucker for good audio logs." - Stephen Totilo, Kotaku. Kirk: An interesting idea, making a point-and-click adventure game work in VR by having you look down on the world the characters inhabit. I'm not very deep into this game, but I like the tone and the writing. The puzzles are elementary so far. It's another one where the constant stuttering motion of my controllers really bums me out. Stephen: I got used to the little bit of shakiness I was experiencing. The puzzles are initially very rudimentary. Lots of turning of bridge segments to create clear pathways. Later, when you're manipulating the movement of various robots, it's more fun. It is one of those games that doesn't seem to be getting much out of being in VR, but I do enjoy having some chill third-person VR experiences that let me be inside virtual worlds without being inside a character. They're certainly more physically comfortable to play. Kirk: Yeah. It's that interesting secondary consideration for these launch games. Like launch games throughout history, they double as standalone video games and as games that in some way make a case for new hardware. Making that case for VR doesn't always involve giving people the most mindblowing, immersive experience. Sometimes it's more convincing to show that VR can be a chilled out but still interesting way to experience low-impact genres like adventure games. Stephen: I figured Rez in VR would be a can't-miss. Trippy visuals, good music, wrap it all around you in VR. Having played it, I'm underwhelmed, possibly because Rez always was so engrossing that maybe I already was sufficiently immersed in its visuals and soundscape. 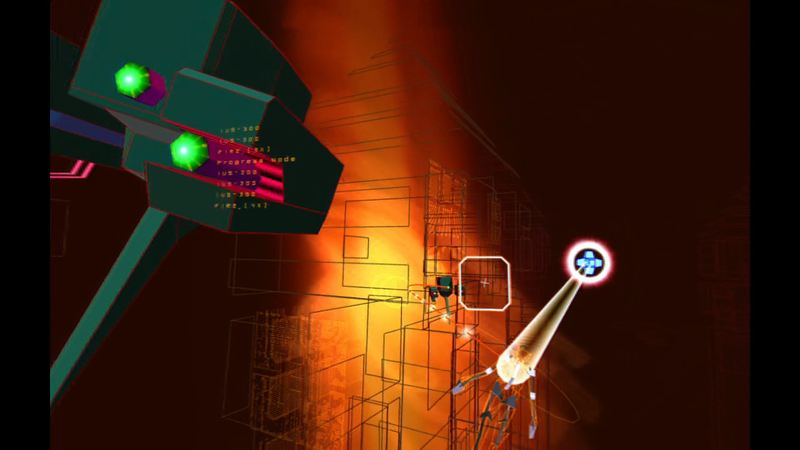 I'm not crazy enough about Rez to feel like, wow, I've got to play it through again in VR. I think a small sampling of it was enough for me. Kirk: I really liked it, even though it's basically just "Rez Again". Which is fine. Rez is a good game! I've only ever sampled it over the years, despite the fact that based on the kinds of games I like it should be one of my favourite games. VR feels like a neat if inessential format for it. 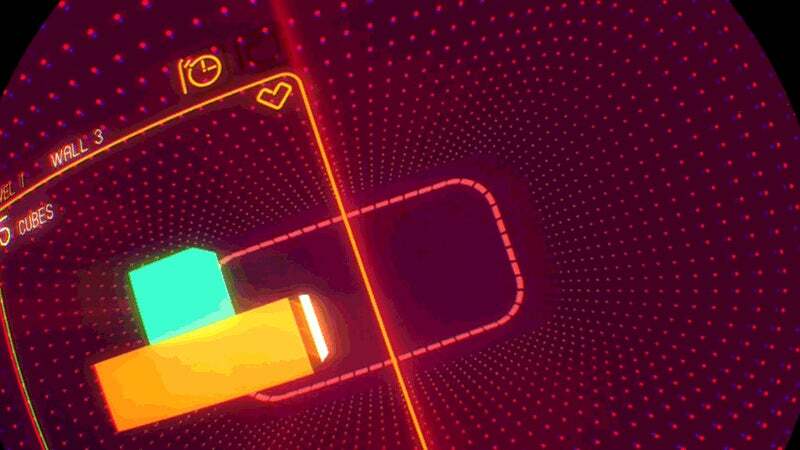 It's interesting that it launches on PSVR alongside Thumper, which is such a clear Rez descendant as well as an evolution of what Rez does. I'd rather just play Thumper, on balance. 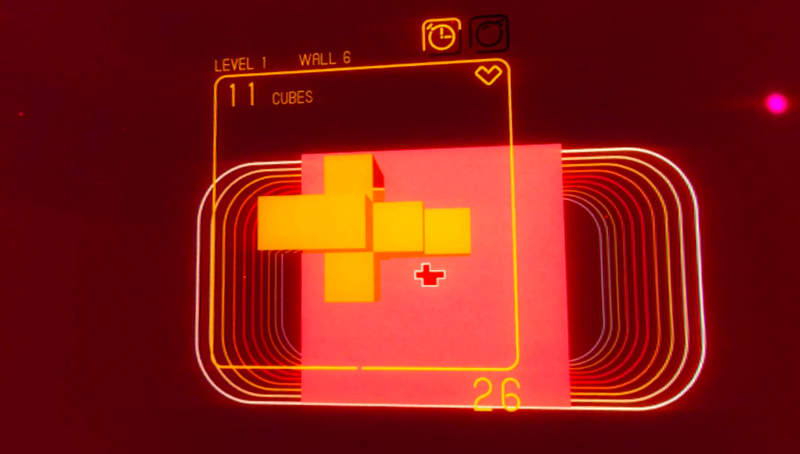 I'm also struck by the fact that my three favourite PSVR launch games are all arcade-y, colourful rhythm/puzzle games: Thumper, Rez and Super Hypercube. Think there's anything to that? I'm not getting any shakiness at all on Wayward Sky, as in, not a little, but none at all. I have my old move controllers from the PS3, I wonder why you guys are all getting the quakiness happening? Same. I get none through to very, very little as far as the shake go (probably me) with either the DS4 or the old move controllers. I have had the problem where it thought my controller was on a slight angle however, even though I kept it straight. The Playroom games are great for freebies and fun to play with the kids (against the 12+ advice I even let them have short goes as the cat, but my son could not do the dive decent... my daughter on the other hand was looking around like mad and crawling on the floor). I didn't notice any controller shaking either like reviewers have been saying. I wonder if it's a distance from the camera or lighting thing? I had a lot of cases in the cinematic mode where the screen drifted to the left, and a few cases in full VR games where the DS4 controller refused to stay straight - would constantly rotate about 10 degrees to the right.. Also had a few cases in TumbleVR where it would just lose track of the controller's position entirely, or slide forward and back at random... might need to try it again with the lights off one night. Also consider reflective surfaces. If you have mirrors or shiny things behind you, it could conceivably throw off the tracking. Nope, no mirrors - the most reflective thing in the camera's FoV is a whitewashed brick wall behind me. It was one of thee first games I tried, tho, so it was still light out (and stupid sunlights mean I can't manually darken the room during the day), so I'll just try again when it's darker. I don't know, I have a light controlled room and am playing on a projector, so we sit/stand quite a ways back. Played a few of the demos last night to get a feel for which games I should target, and tried the VR Playroom. Anything that was from a fixed position worked pretty well - TumbleVR was surprisingly fun (loved the laser puzzles, especially, despite controller tracking issues), and extremely immersive (when it was tracking the controller properly); Headmaster was another surprise. DriveClub, BattleZone and the Playroom, tho.... urgh. Looking forward to trying Thumper tonight, and maybe trying to fix the controller tracking issues I was having with TumbleVR. Maybe the move controllers will work better than the DS4 for that. Thumbs up for TumbleVR as well! Surprisingly fun game, and for $15, one of the cheapest as well. Which, I have to admit, did influence my decision to get it. Ditto. I was really keen to get the VR Worlds, too - the demo was really impressive, tho the jellyfish had very obviously synced animations which pulled me out of it immediately. But from the 5min non-interactive demo, it sounds like it's $55 for six bite-size tech demos. 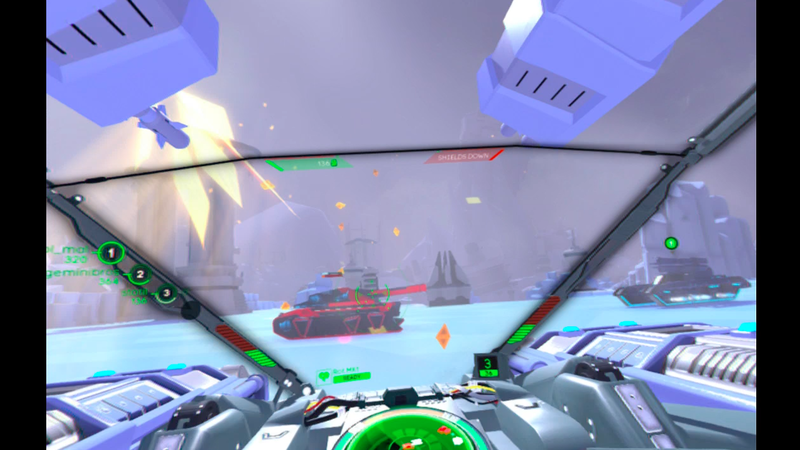 Likewise, BattleZone looks like it could be a lot of fun (if I could train myself out of the motion sickness), but $85 for a glorified arcade game is more than a little steep. What was wrong with Driveclub? I'm keen to try it. DriveClub was disappointing for me because the graphics are very downgraded. Because the headset is lower resolution, and some of that is used in rendering the car around you, and then stretch to 100 FOV. Loads of detail is lost. The corner flags are very blocky until you get close to them, its hard to see into the distance and the cars mirrors look pretty rough too. Definitely adds to the case that games need to be designed for VR and that currently includes the resolution. I am enjoying PSVR (only played an hour so far), but VR is going to be a lot better (less limiting) when they can get the res up past 2K per eye, and make the headset like a pair of glasses (without any cables), and get the pure graphic grunt up. Then we'll see the experiences that we have dreamed of in VR. I wonder if the PS4-Pro will be able to have better graphics fidelity in DriveClubVR? Yeah I hope so. Better AA and textures would definitely help. I hope the res isn't the limiting factor. Also I was playing the Demo version of Drive Club VR which might not be as good as the full version. So wheres the bundle with everything? Console as well for us non PS4 owners? Wait for the PS4Pro next month, I reckon you will see some bundles with it eventually, and you will probably want the extra graphics power. Reckon you will have to wait for current demand to be filled. Why bundle at a cheaper price when people are still waiting to pay full retail? I'm enjoying Driveclub VR, The Ball Game on VR worlds, and battlezone. The underwater game on VR worlds is great to show the unit off with. I got a nice surprise tonight with the Playroom VR download. There is a little platformer on it where you collect coins and kidnapped and robots it is a little ripper of a game, reminds me somewhat of playing Mario 64 back in the day. If Sony could make that into a full platformer, it would be a ripper.